Steve earned his degree in Management Sciences from Pepperdine University. He then spent eight years developing business for investors overseas until 1994. Upon returning to the U.S., he began his career in the financial industry with the Automobile Club of Southern California. For the past eleven years, Steve has developed his own financial planning business. He now works with the support of his team at Sexton Advisory Group to serve clients out of three office locations throughout Riverside and San Diego counties. He believes in helping clients take control by asking the questions that most people do not think or know to ask. His focus is on identifying issues that could be costing clients thousands of dollars in taxes, eradicating unidentified fees and expenses, solving estate problems, and eliminating any unknown risks. Steve has been a financial contributor and expert for CNN, ABC, NBC, CBS, FOX, THE CW, plus more, appearing locally and nationally more than 700 times over the last 5 years. USA Today also recognized Steve as a Financial Trendsetter for 2012 followed by recognition from The Wall Street Journal as a Financial Best Selling Author in 2013 for his contributions to the book “How to Get More out Of Life and Business with Better Results”. Steve is currently the financial expert for the American Dream TV show on COX channel 4, as well as the host of the very popular radio show, The Silver Hair Tsunami, on KCBQ 1170AM. Furthermore, Steve works with charities such as Pat Boone’s, Ryan’s Reach, and Jacob’s House Valleys. He has been married for 17 years to his lovely wife Lora. Together they have two children, Connor and Paige, and a beagle dog named Harry. Glen Henderson is a third generation San Diego native and can’t imagine living anywhere besides sunny San Diego. Glen attended San Diego State University, where he majored in business administration with an emphasis in finance. Upon graduation in 2003, Glen began his career in real estate and mortgages. 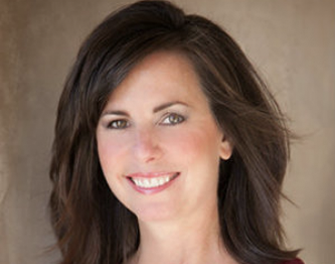 Michele Kole is a Reverse Mortgage Specialist, having served over 27 years in the mortgage lending industry. While providing a wide array of loan products since 1989 for both the residential and investment community, she discovered the one loan she feels outshines them all – the Reverse Mortgage. It was a family tragedy, her father had a massive stroke and would live his remaining years in a nursing home, that redirected her career path! She arranged her first reverse mortgage to keep her mom living independently in the family home while paying for her dad’s care until he passed a few years later. To this day, her mom maintains her lifestyle at aged 92 in the home she loves – all due to her reverse mortgage. A Baby Boomer herself, Michele, exclusively provides the reverse mortgage to homeowners aged 62+ wishing to successfully fund the rest of their lives. Since 2002, Smart Interiors has successfully partnered with clients across San Diego in the development of custom interior design plans for homes, regardless of style or budget. With a wide array of residential design experience we have the ability to create custom interiors for all kinds of ro. 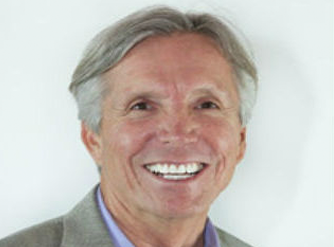 . .
Ken D Foster brings over 35 years of expertise in business development. Ken is highly proficient at guiding CEO’s, Executives and Entrepreneurs to find the deep answers to their greatest challenges in business and life. Ken is also the founder and President of Stars of Courage, a 501c3 or . . .
David P. Greenberger has been a real estate attorney for over 25 years helping clients with thousands of transactions to buy sell refinance and manage real estate. He has owned an escrow firm, and is the President of 1031 Exchange Advantage TM – a nationwide 1031 exchange accom. . .
“It’s not just your identity, it’s your life.” For more than 25 years I’ve dedicated my life to protecting people and their reputations. Whether their credibility was damaged through financial loss and debt or, more recently, through identity theft, I use my experience to create products and services to help pe. . . .